Deb Charleston is a Registered Veterinary Technician and has been an integral part of the staff of Citrus Veterinary Clinic since 2004. She takes pride in our doctors and her fellow staff members and appreciates being able to participate in practicing cutting edge medicine. Deb enjoys her many animals which include; dogs, cats, chickens, tortoises, a water turtle, a horse and a partridge in a pear tree. 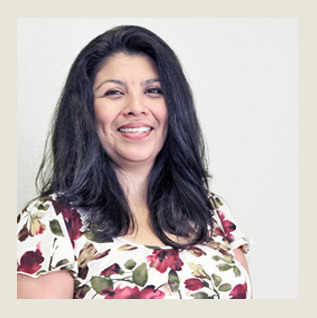 Stephanie has worked at Citrus Veterinary Clinic for over 10 years. Originally intending to become a veterinarian, she fell in love with being a Technician, so much so she earned her RVT license in 2012. She enjoys working with clients, their furry family members, and the hands on aspect of her job. In her downtime, Stephanie enjoys attempting to keep up with her young daughter and spending time with her family. Lisa has been a valuable employee of Citrus Veterinary Clinic since 1992. In addition to her front desk skills, she is also an accomplished Veterinary Technician. As a result of her long tenure, she has accumulated a substantial amount of cats. When not scooping litter boxes she enjoys mountain biking, reading, and hair color. William is a recent graduate of UC Davis with degree in Animal Science. Born in Taiwan and always surround by animals, William wanted to be a veterinarian since he was a kid; he aims to become a veterinarian like the doctors here and hope to attend UC Davis for veterinary medicine. In his spare time he enjoys the outdoors, fishing, cooking, and eating. Also fluent in Mandarin, William is glad to help with our mandarin speaking clients.